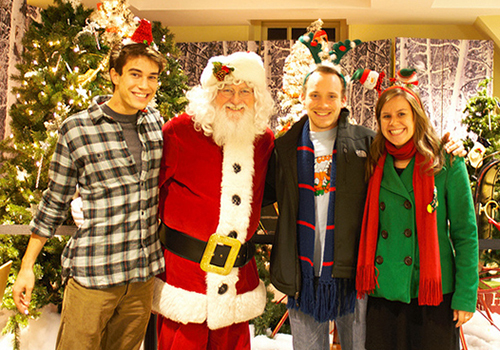 College of William & Mary students pose with Santa at the College of William & Mary Bookstore, in Williamsburg, Virginia. Normally, holiday weight gain is considered a problem – but not when it comes in the form of pounds of food collected for families in need. Recently, the The William & Mary Bookstore in Williamsburg, Virginia, partnered with local vendors in the campus-adjacent Merchants Square to host William & Mary Night. Now in its fourth year, the annual event serves to draw the campus community into Colonial Williamsburg for holiday festivities, and this year, raised a record-setting 1,000 pounds of canned goods for the Foodbank of the Virginia Peninsula, which serves four cities and five counties in eastern Virginia. More than 600 students, faculty, staff and families attended this year’s event, which featured complimentary chili, desserts, cider and hot chocolate from local restaurants and shops, as well as photo opportunities with Santa and a sing-along with the Williamsburg Waites, a troupe that performs holiday caroling and 19th-century street entertainment. 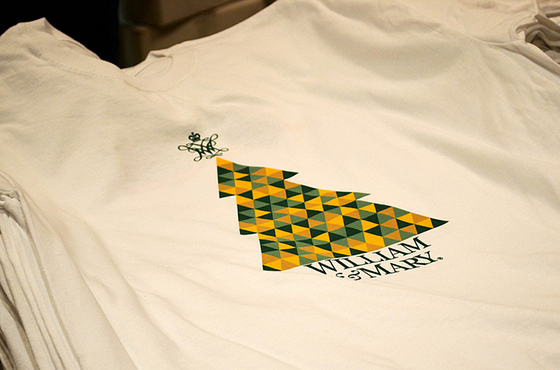 A close-up detail of the 2013 William & Mary Night t-shirt that was handed out to the first 400 guests to donate three or more canned goods. The first 400 guests to donate three or more canned goods received a unique, holiday-themed commemorative t-shirt. Guests also received an additional holiday shopping incentive – discounts at local shops, including a 20 percent discount at the Bookstore. 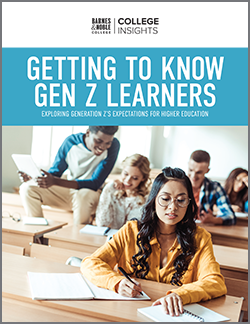 “I personally love this event because it gives our campus community an opportunity to not only save a little on their purchases – which everyone appreciates this time of year – but also a way to give to a great cause,” said Cathy Pacheco, General Manager of The William & Mary Bookstore. In the spirit of collaboration, the Bookstore and the Merchants Square Association involved members of the campus community in creating William & Mary Night. 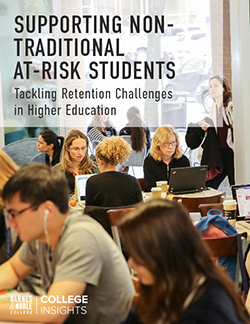 The team worked with William & Mary MBA students interested in working on an end-of-semester, service-driven event, and the result was a tremendously successful celebration that builds holiday spirit and offers an outlet for community giving. For a visual recap of the 2013 William & Mary Night, click here.